This beautiful waterfront home in Bentwater Bay Estates, a private gated community in Bentwater, is a perfect balance of beauty and comfort. Situated on an elevated site, there is no need to worry about water levels. 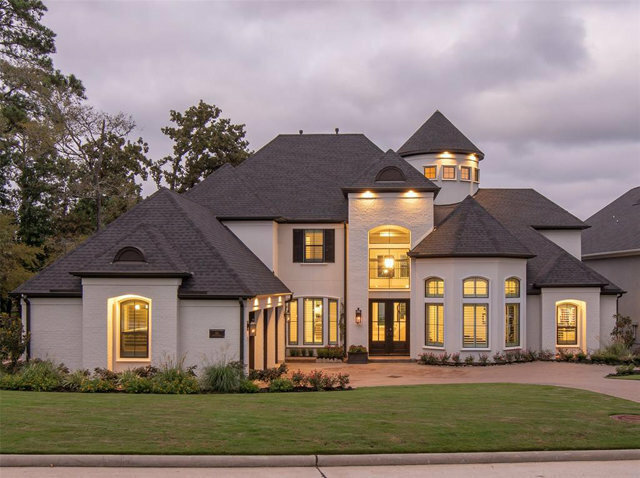 This location is serene and cozy yet the main body of Lake Conroe is only seconds away. The exterior has a timeless style; the interior finish work is modern and contemporary with a natural touch. The home's design creates a restful harmony and the large rooms flow easily from one space to the other in an open concept. Walls of windows bring the outdoors inside and provide beautiful diffused lighting. The well-equipped kitchen is simply stunning. The Master Suite is eye popping. With its large back yard and summer kitchen, this home is designed for entertaining inside and outside. The spectacular home has special touches throughout so please pull the Features List. Grand Pines Membership available for transfer.